If you love nature-inspired girl baby names, this recent celebrity choice might be on your list, too. 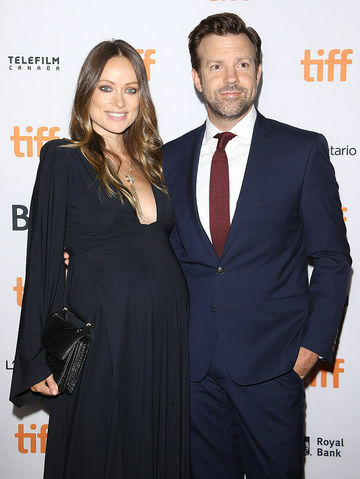 Olivia Wilde and Jason Sudeikis set trends with their son's name, Otis Alexander. Otis had been edging upwards on the charts, a vintage pick with a musical vibe. In 2015, a year after their son's birth, Otis re-entered the US Top 1,000 for the first time in nearly 20 years. That's why we were so eager to learn the name of their new child. The famous couple didn't disappoint. Welcome to the world, Daisy Josephine Sudeikis, born on October 11, 2016. As the proud parents noted, she arrived on International Day of the Girl. With ties to the traditional Margaret, Daisy feels casual and classic at the same time. The Great Gatsby makes this name literary, as does Henry James' tale of an American abroad, Daisy Miller. Along with Cora, Violet, and Edith it's a Downton Abbey name: Daisy is the lovable kitchen maid who raises her station in life. Daisy is yet another flower name for girls, like the very popular Lily and the rising Rose. It's a former Top 100 favorite from the early twentieth century, the age of Alice and Grace, Clara and Hazel. Daisy hibernated from the 1960s through the 1980s. Comic strip Li'l Abner and television hit The Dukes of Hazzard gave us country Daisys during the era when Daisy was seen as a backwoods bumpkin name. But in more recent years, Daisy has felt fresh once more. Today the name stands at Number 183 on the list of most popular names, and appears in the Top 50 in the UK. It's a straightforward nature name, feminine but not too frilly. Celebrities including Jamie and Jools Oliver, Jon Cryer, and Meg Ryan all named their daughters Daisy. And now Daisy Ridley is the future of the Star Wars series, as heroine Rey. Factor in the Wilde-Sudeikis ability to boost a baby name, and Daisy might be headed back to the US Top 100 soon. This story originally appeared on Nameberry.